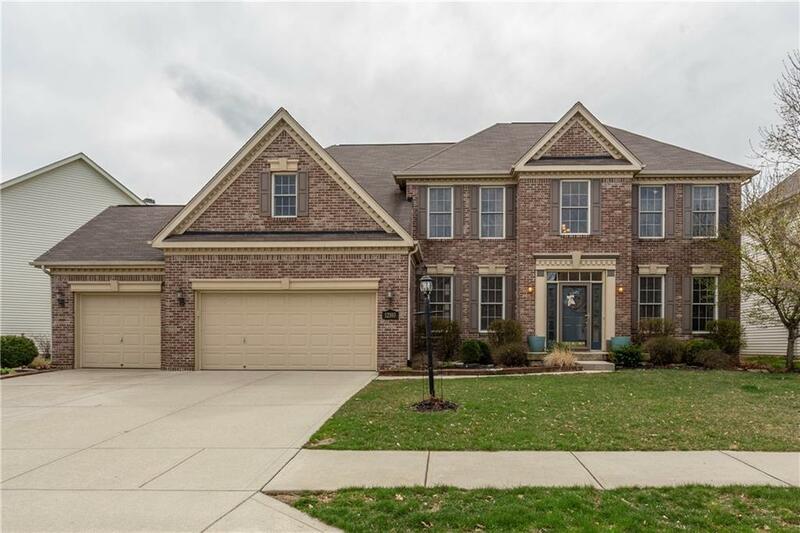 Move-In Ready Spacious Oak Hall Home! Main level features soaring 2-story entry w/laminate hardwood flooring, new carpeting, gourmet kitchen w/upgraded cabinetry, laminate hardwood flooring, solid surface counters, dual pantries, screen porch, mud room, formal DR, den, 2-story GR w/stone gas fireplace, & sunroom off of GR for additional space. A dual staircase leads up to generously sized BR's & master suite w/dual sinks, soaker tub, shower, & walk-in closet. The upper level features a cat walk that overlooks the GR & entry. New furnace 2018, updated powder room 2019 w/granite counters, newer patio & trees installed. Finished basement w/rough-in plumbing for bathroom, large laundry room, & plenty of storage space. Playground Stays w/home.